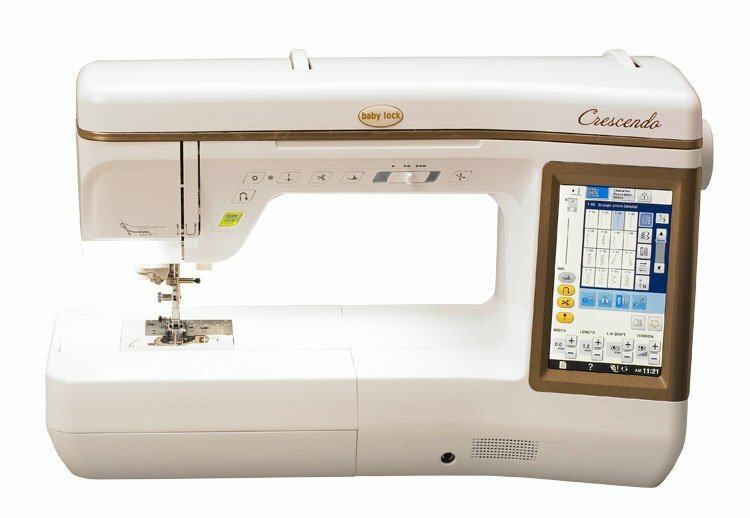 The Crescendo deluxe sewing and quilting machine is sure to make your next composition a masterpiece. Innovative features powered by Baby Lock IQ Technology™ add to a luxurious sewing and quilting experience. IQ Technology is what makes Baby Lock machines so smart and efficient. You tell the Baby Lock Crescendo what you want to accomplish and IQ Technology works with the "brain" of the machine to achieve your desired results. Look for the IQ icon next to descriptions of these easy-to-use features. The Crescendo also has the largest workspace of any machine in the Baby Lock sewing line, making it the perfect accompaniment to creativity of all sizes.